Reduces travel times and congestion. Opened in 2017 it had a price tag of $1.4 billion. 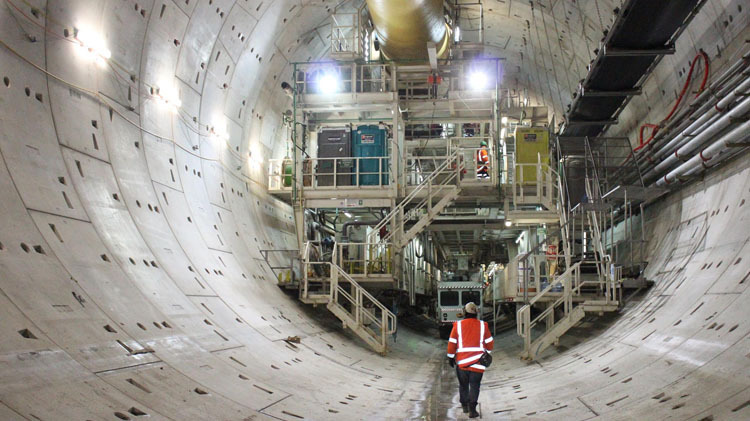 New Zealand’s longest road tunnel. Not just about cars Waterview included building sports grounds, a skate park, walking/cycling tracks and heaps of landscaping and planting. Close to 1 million cubic metres (about 400 Olympic-size swimming pools) of loose material was cleared away. More than 200 sites along SH1 and 900 sites on the main trunk railway line were damaged. The response cleared 90 slips and replaced numerous bridges. More than 1,700 people from 350 organisations worked on the response. Opened 1959 enabling massive population growth on the North Shore. The bridge is over 1,000 metres long and rises 43 metres above the harbour. Paid for by Government backed loans the bridge had a toll until 1984. Originally built with only 4 lanes a further two lanes on each side just 10 years after the opening. 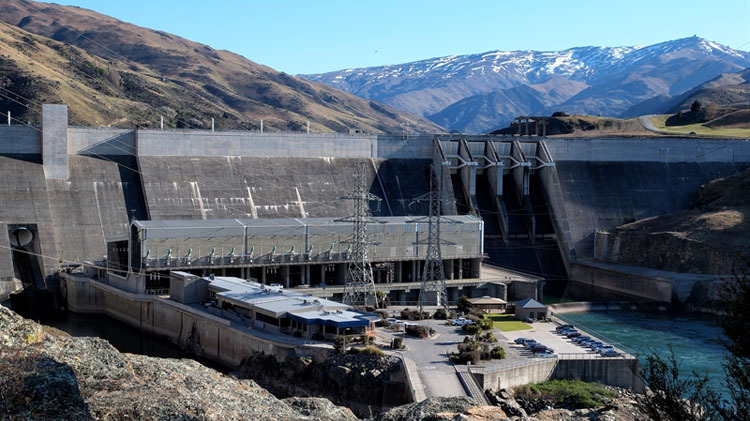 100 metres high and 490 metres wide it is the largest concrete gravity dam in NZ. Opened in 1992 it took over 10 years to construct. The dam created Lake Dunstan which has a surface area of 26 square km. Light rail Public Transport Developments. 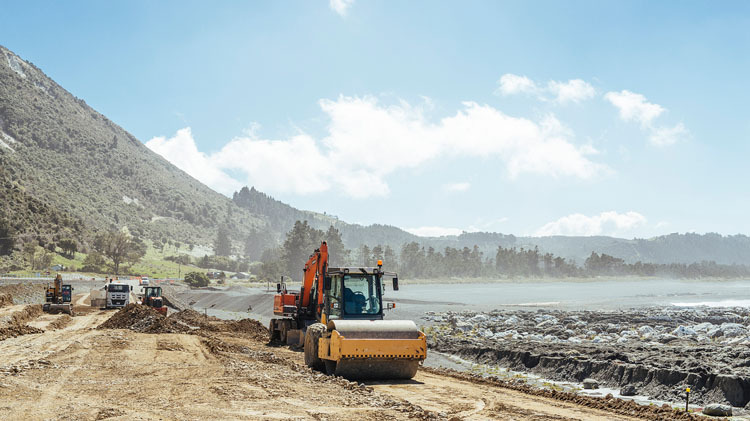 Building infrastructure that improves New Zealand’s water quality. 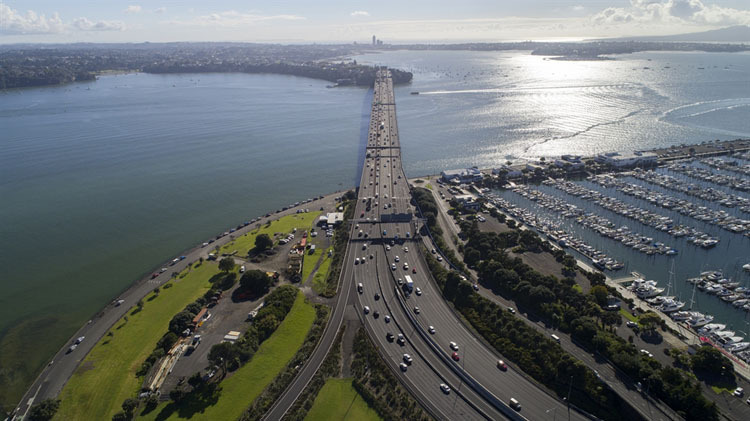 A second harbour crossing in Auckland.